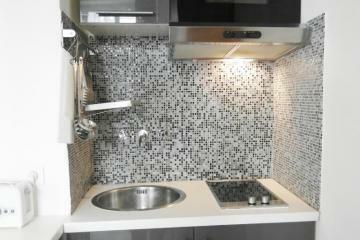 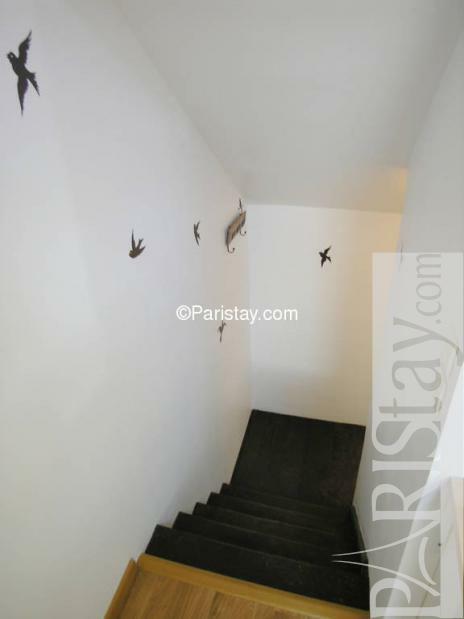 Recently renovated Paris apartment situated atop of a nice building. 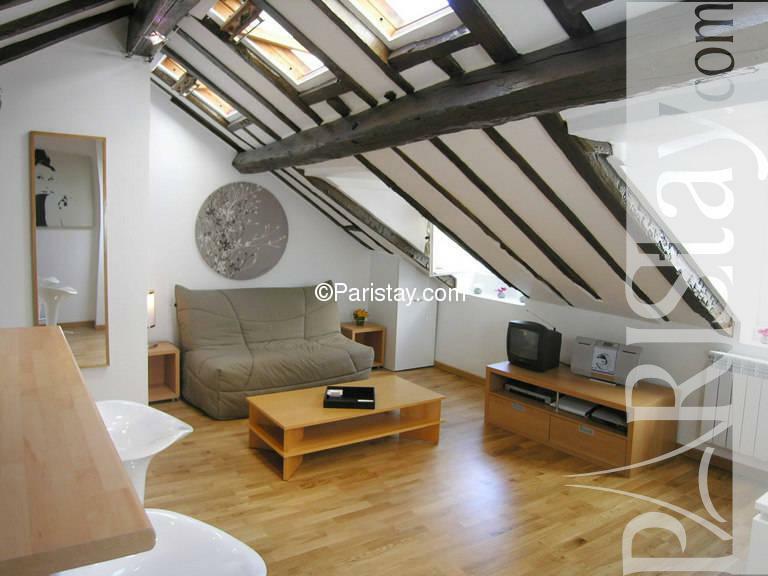 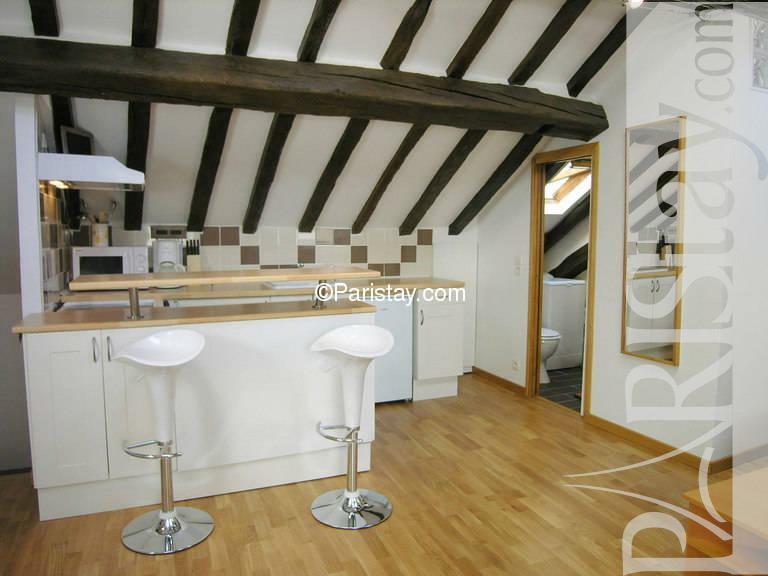 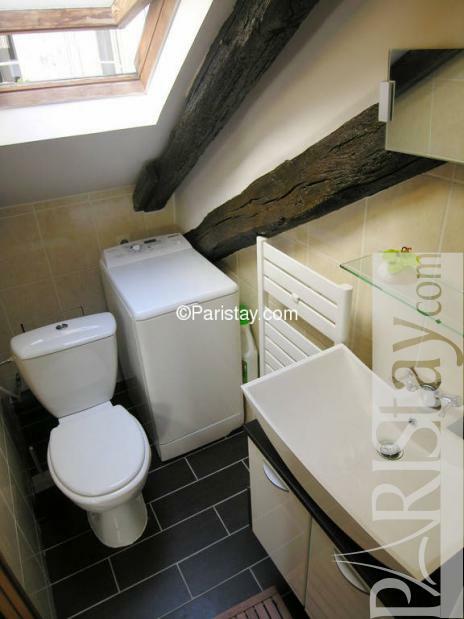 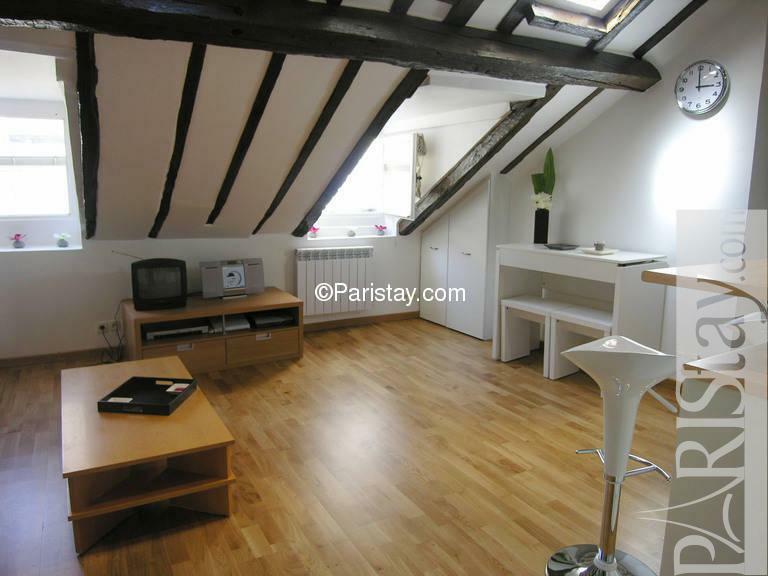 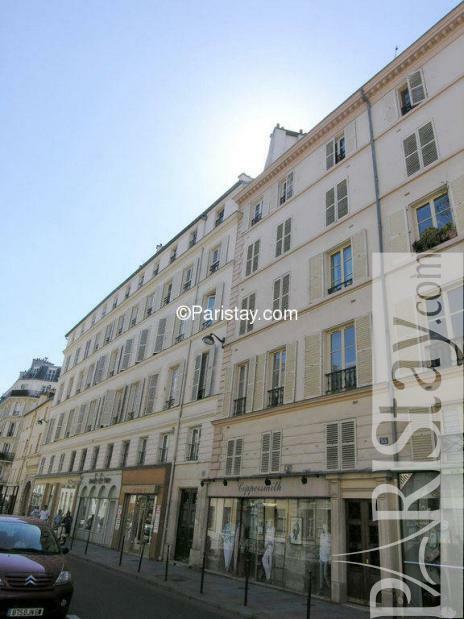 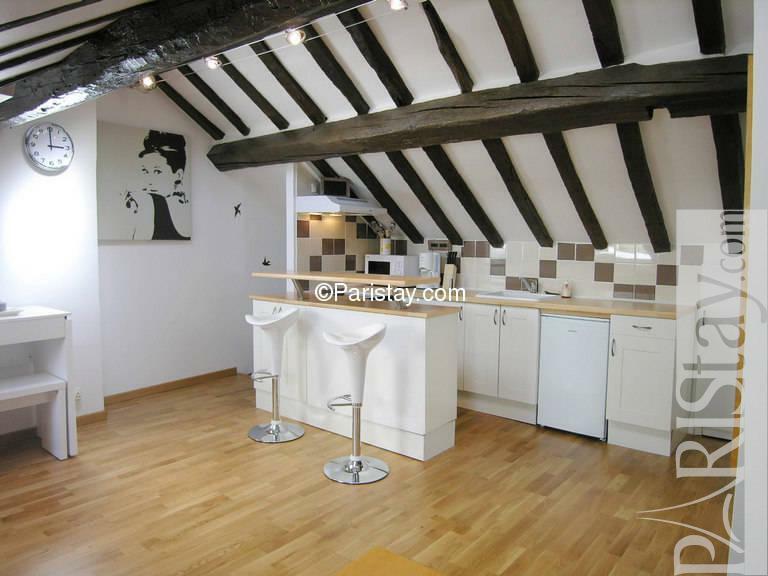 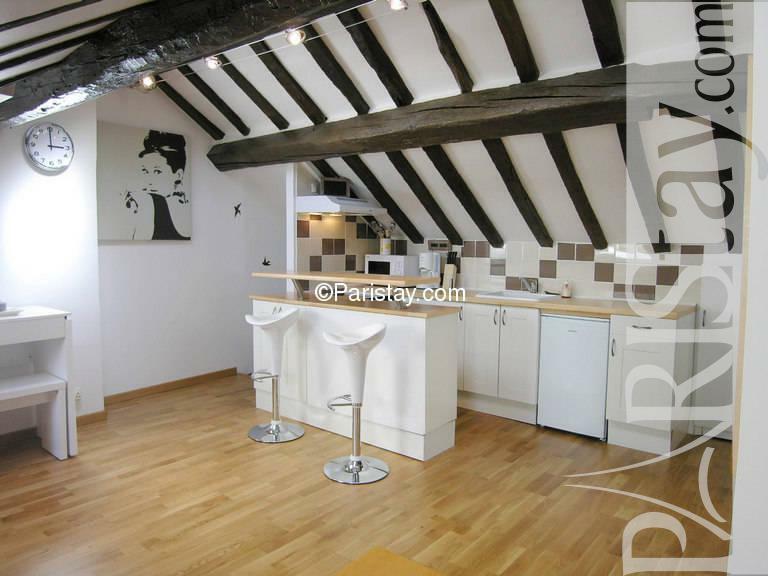 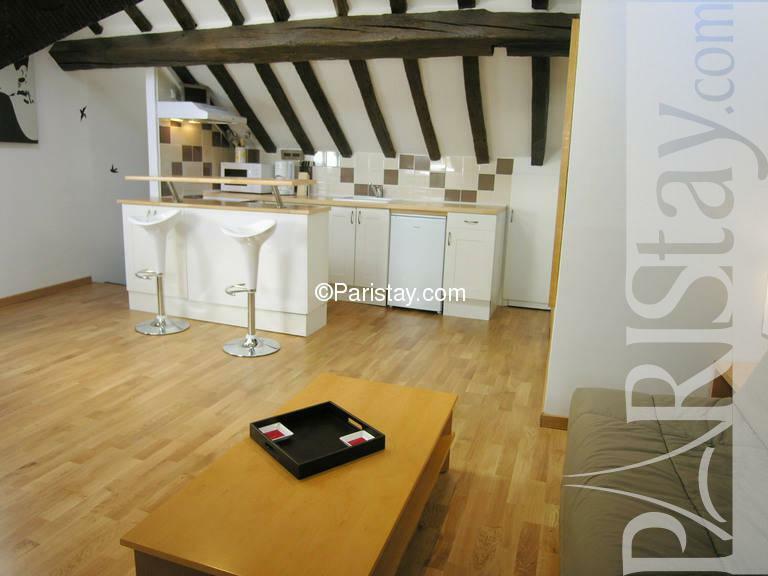 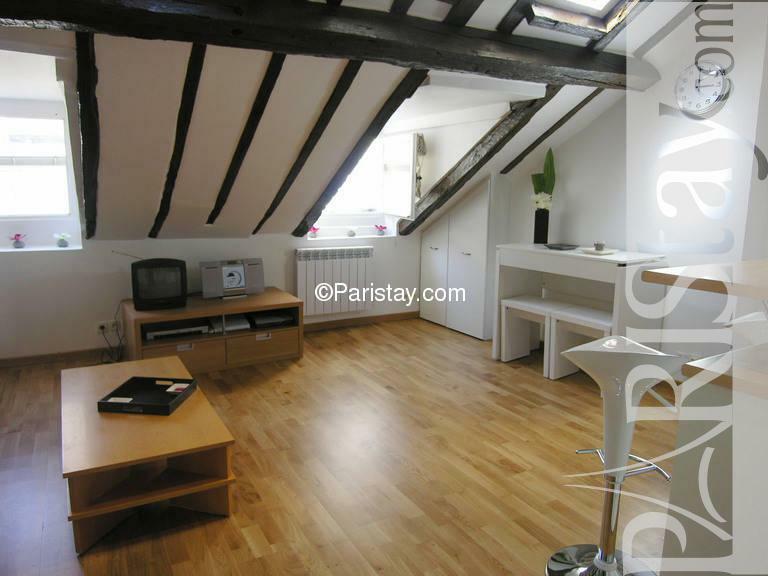 It's in the heart of a trendy and lively part of Le Marais area. 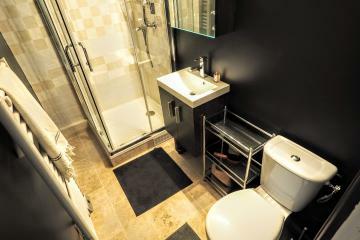 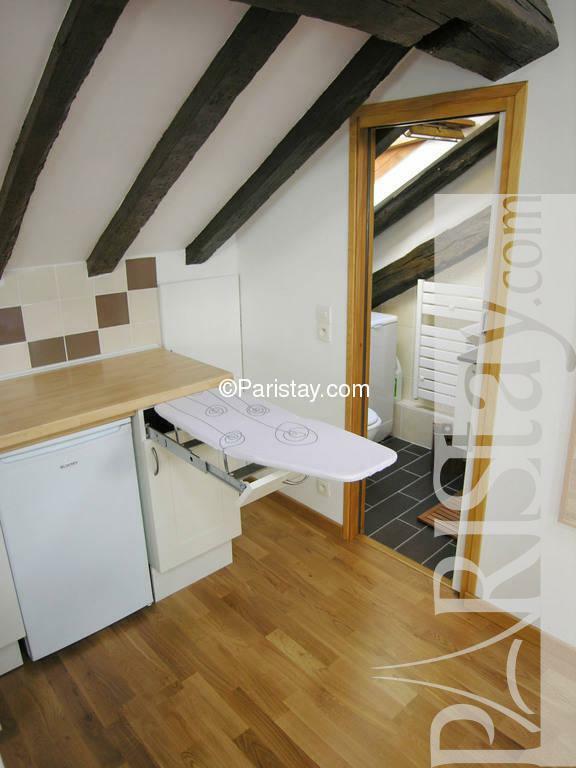 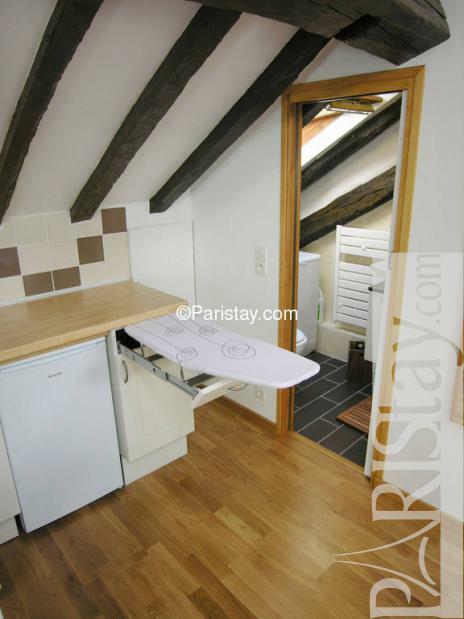 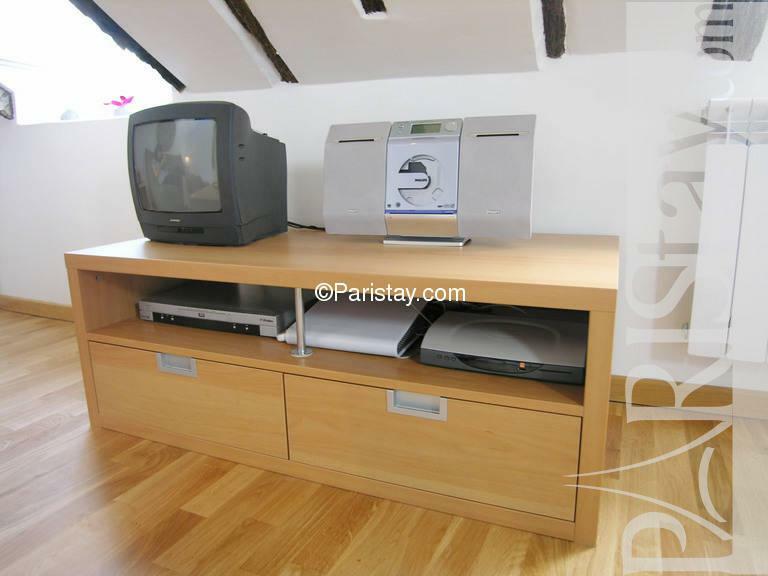 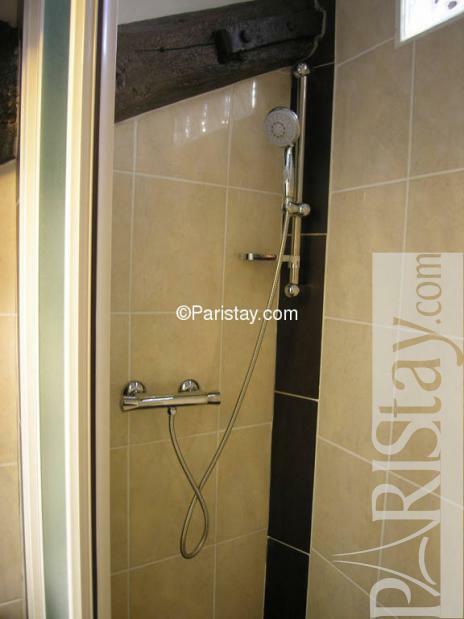 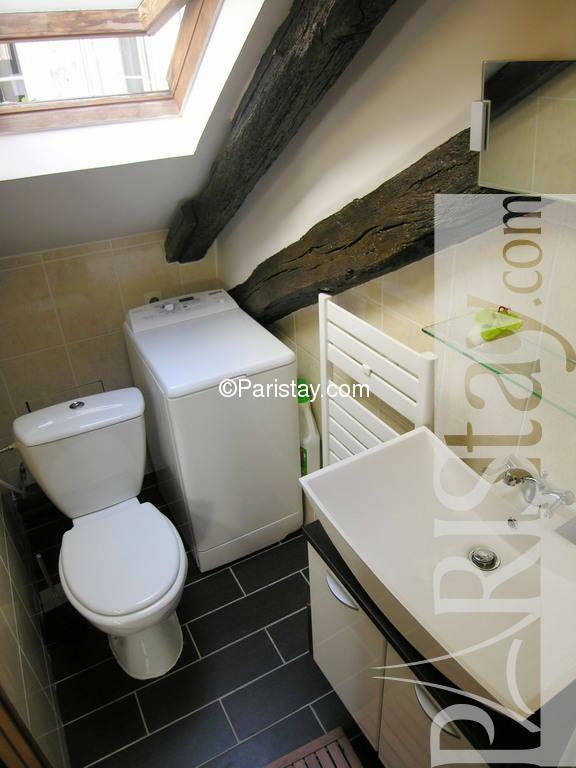 This Paris studio apartment is perfectly suited for students, it features a a living room area, open kitchen, bathroom with shower. 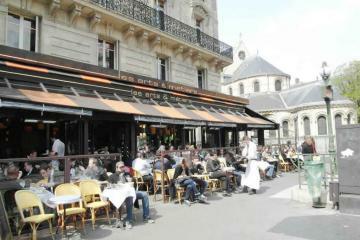 In the area, you will enjoy the multitude of excellent restaurants, bars and bistros. 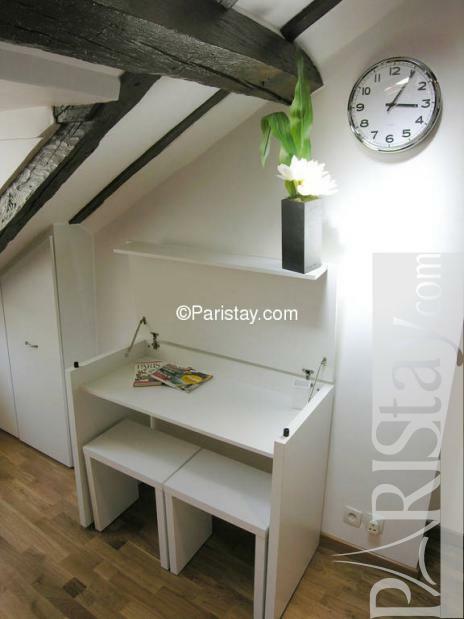 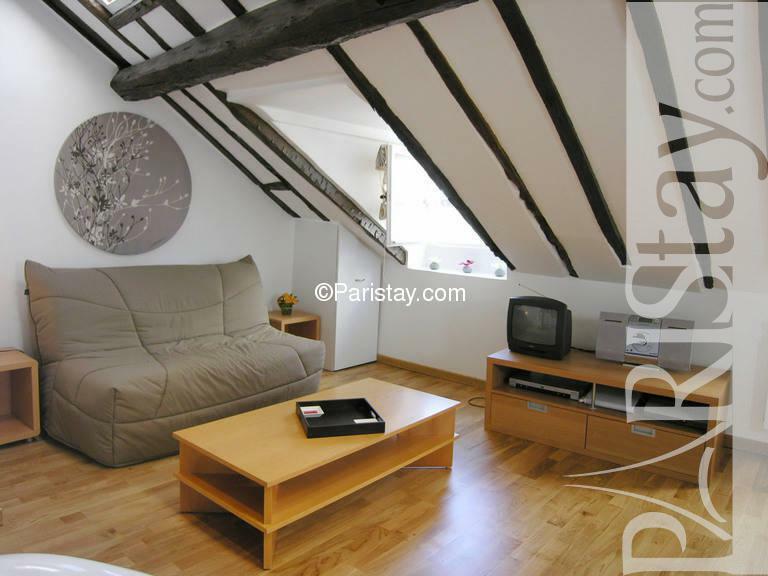 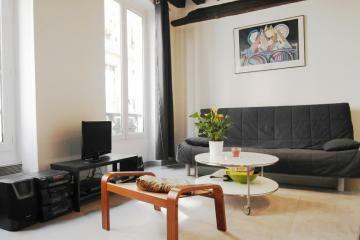 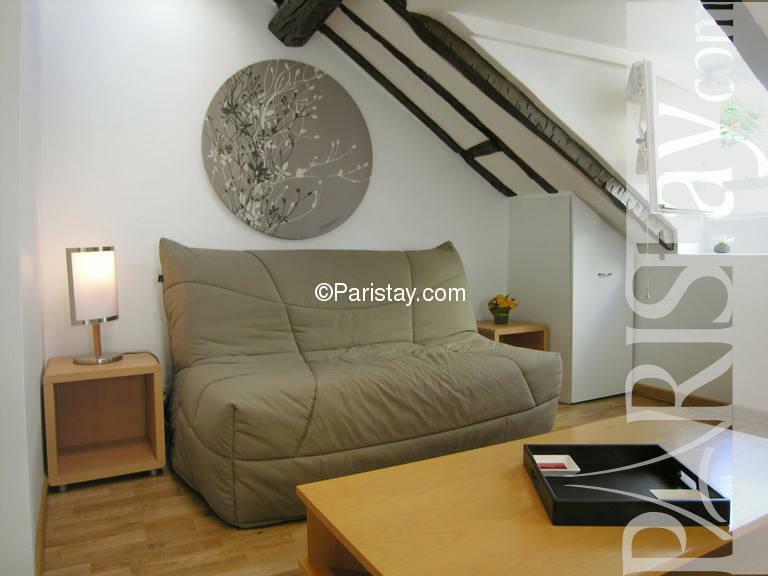 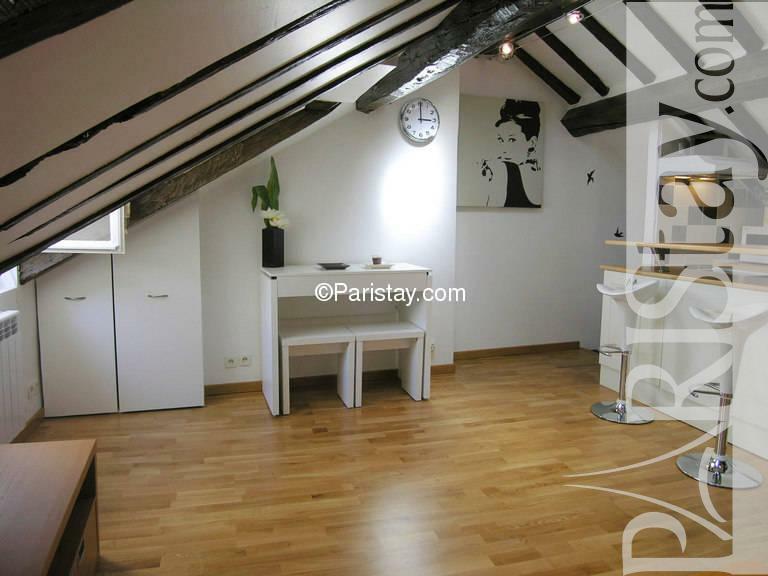 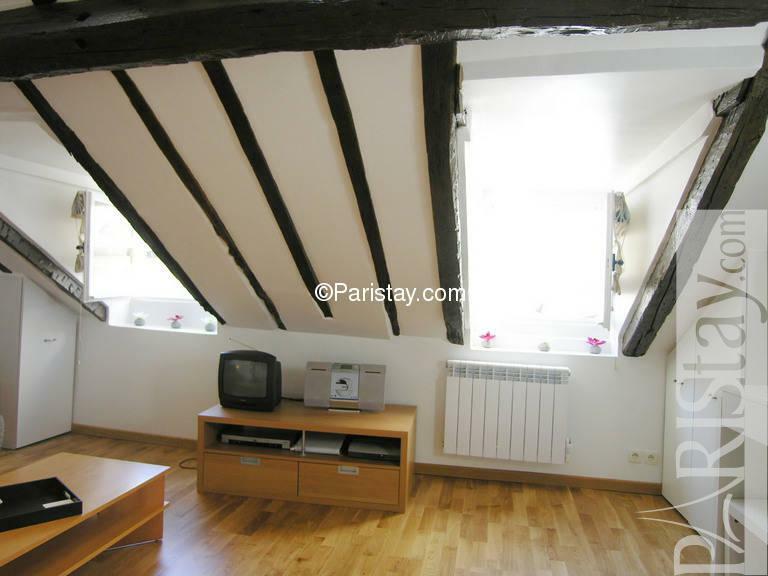 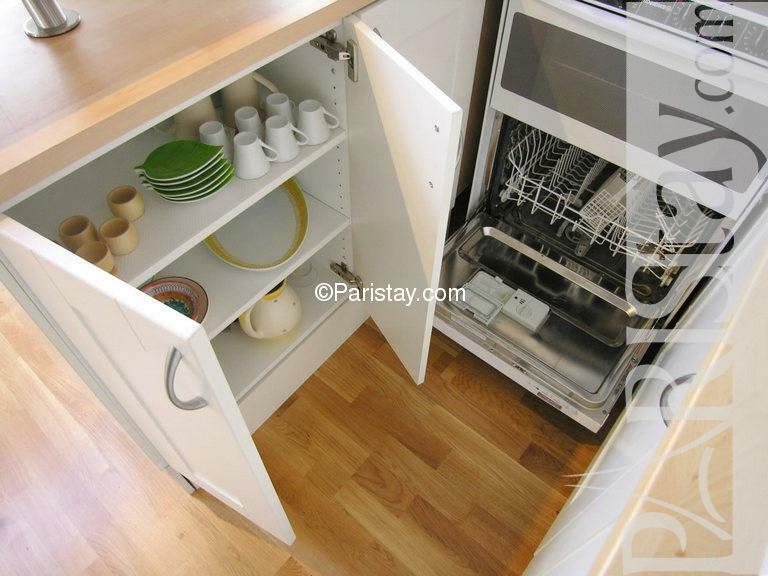 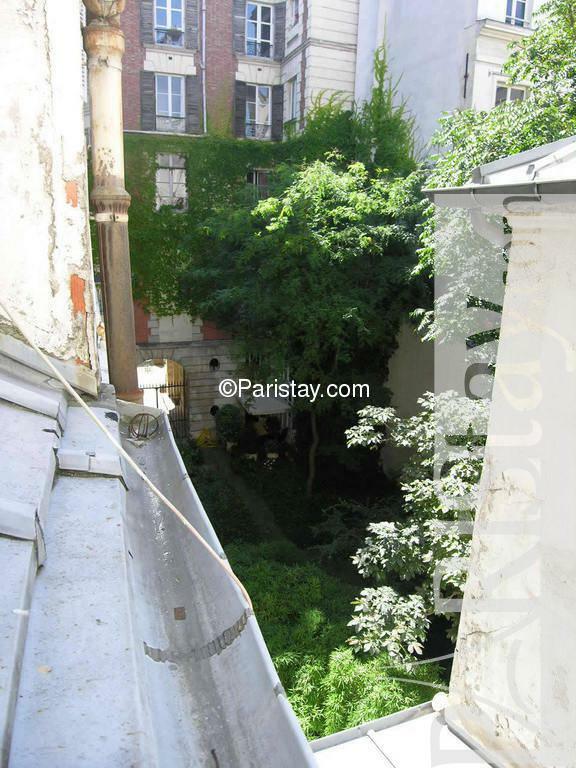 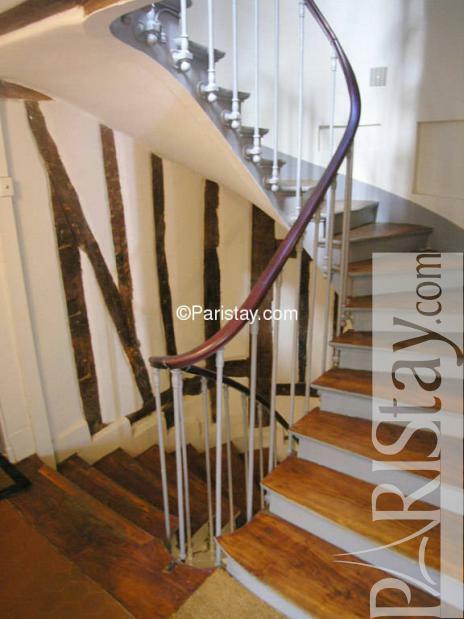 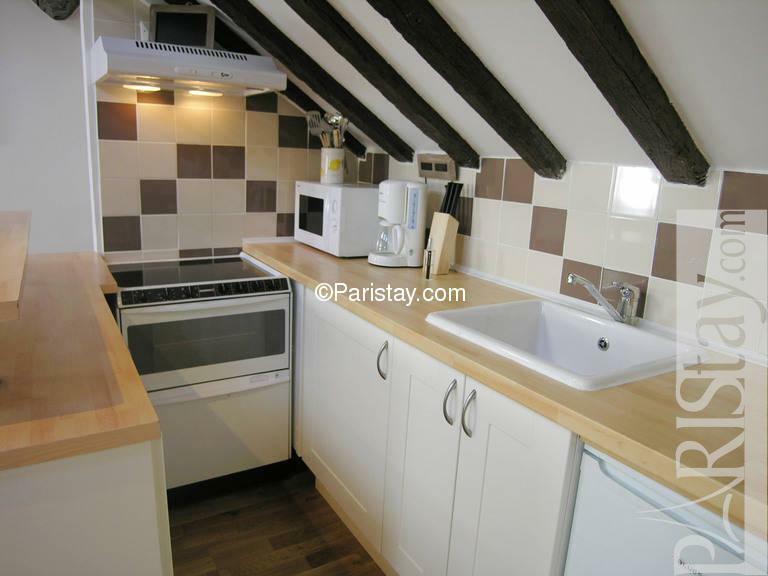 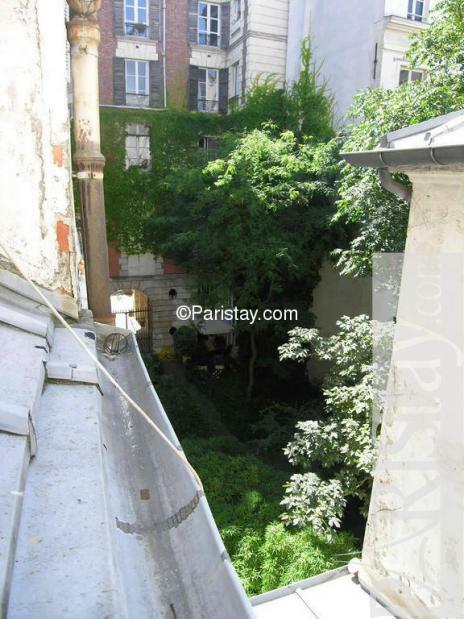 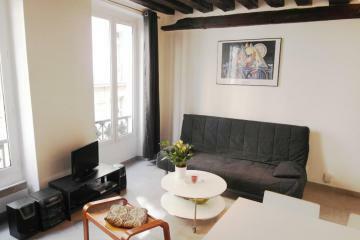 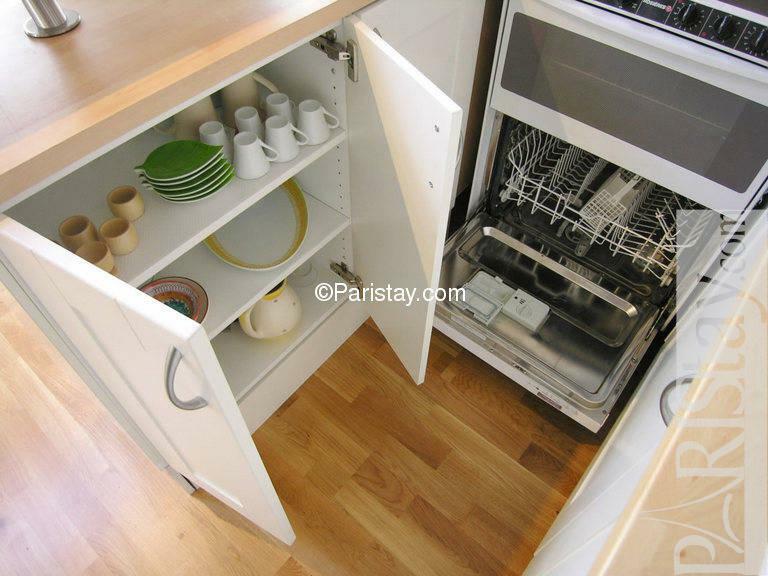 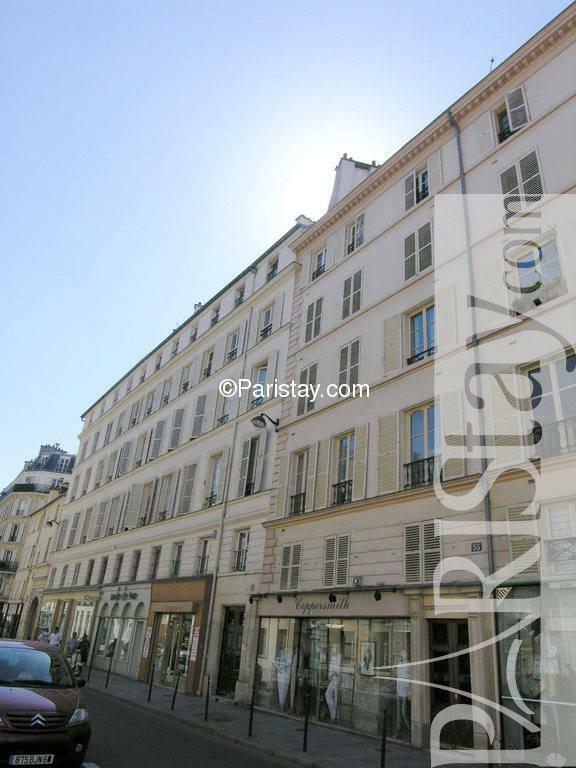 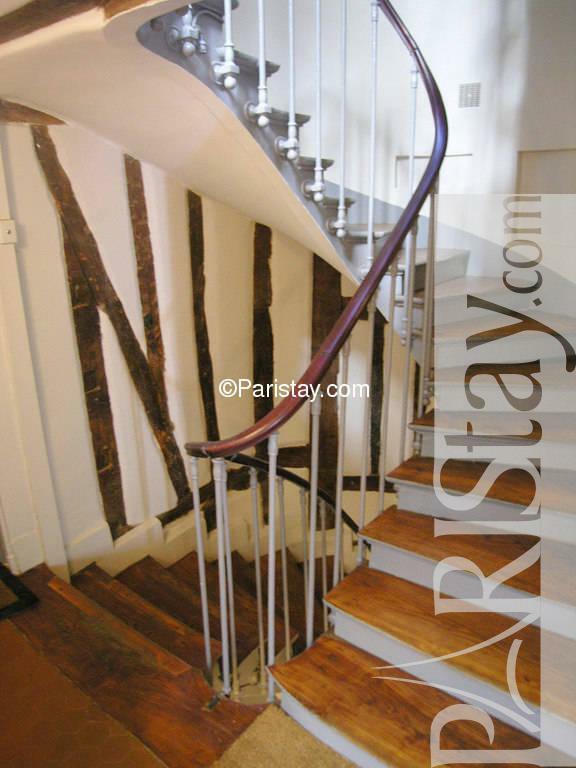 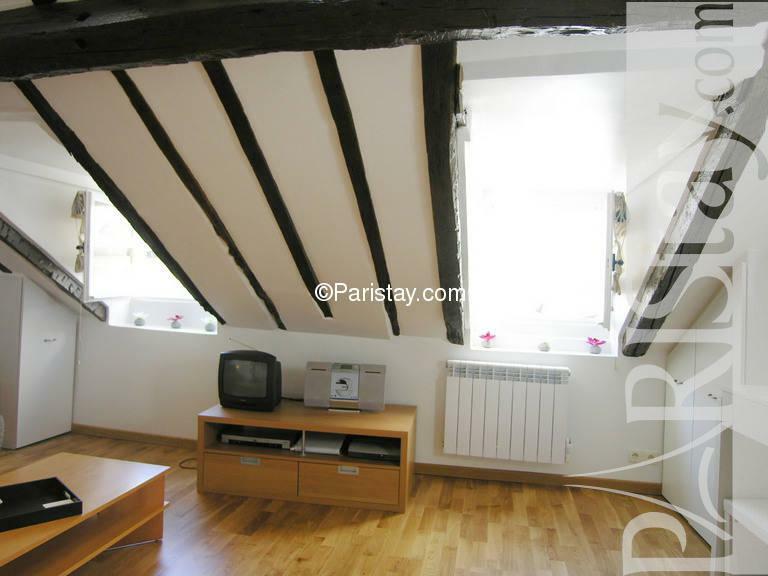 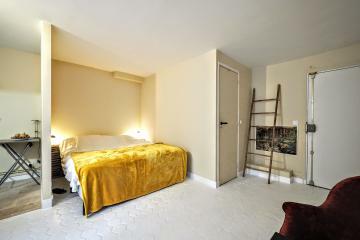 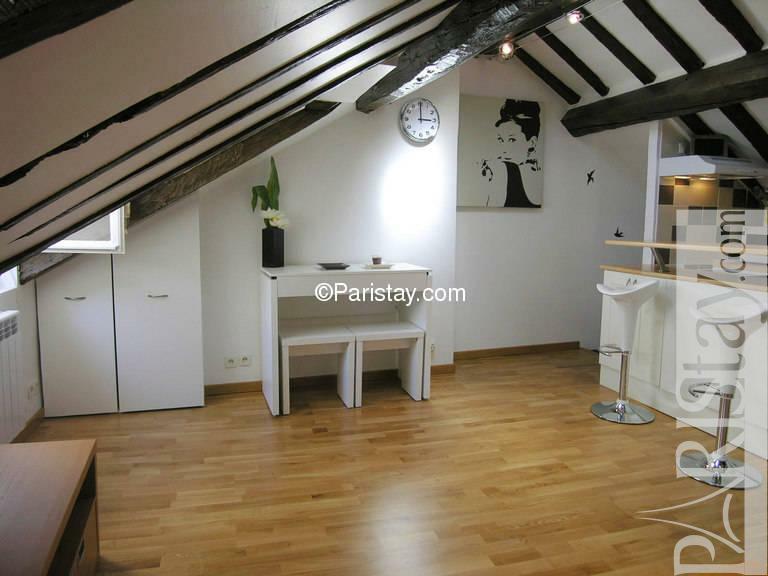 It's one of the most liveliest part of the city, perfect to enjoy a long term rental in Paris. 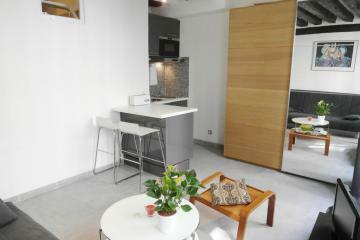 Please note : weekly rental only in July and August. 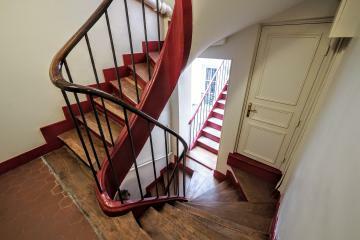 1790's Building, 2 nd floor, without Lift, entry code security system, with intercom, Studio Appartement, furnished, Approx: 25m² / 269 Sq.Ft.